Skydive Vancouver's Freefall Tandem is the easiest, most enjoyable introduction to skydiving available. After a short briefing you and your personal instructor will take to the skies. Have all the action of your jump captured on USB for all of your friends and family to see with our professional Tandem Video Packages. We offer high quality photographs and two styles of video, a third person cameraman or instructor filmed. 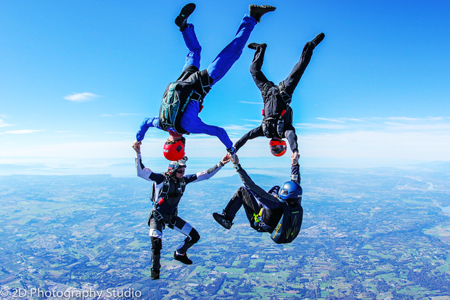 Skydive Vancouver also offers an outstanding photography service. If you have crossed skydiving off your bucket list and want more? Start your next adventure as a solo skydiver and feel the intense adrenaline of deploying your own parachute with our extensive AFF Course. Learn to jump Solo by yourself! Offers first time Tandem Skydiving, this is the safest, most enjoyable way to experience Skydiving. Our Accelerated Freefall Program offers full courses for those who wish to learn to Solo Skydive . 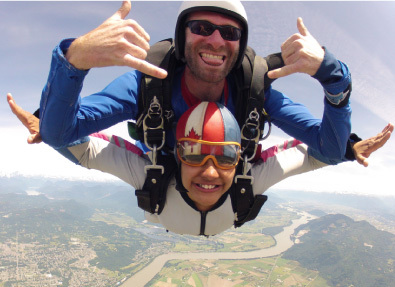 All of our Tandem Skydives are done with an experienced and qualified Tandem Instructors at our Abbotsford Skydive Centre located about 45 minutes drive East of Downtown Vancouver. Give us a call today and enquire about your first time Tandem Jump. 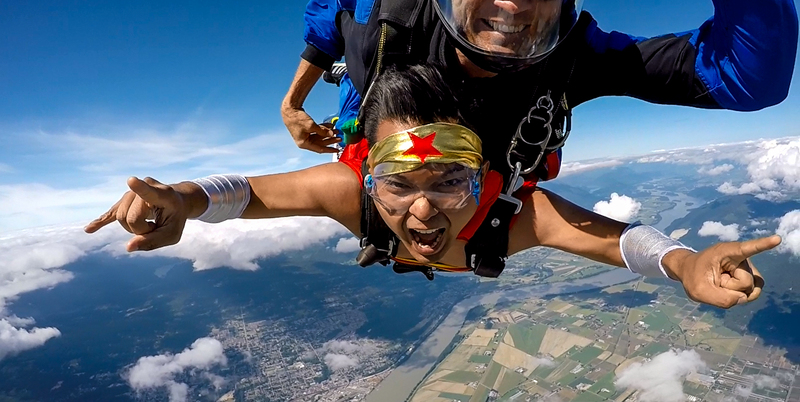 Skydive Vancouver also offers fantastic amenities. Our Aircraft include a 15 passenger Turbine Quest Kodiak and a 10 place Turbine Pilatus Porter. This allows us to take groups of any size. We operate on our own airfield with onsite parachute packers, videographers, gear sales, rigging loft and kitchen facilities. … is it your friend’s Birthday? Christmas? Valentines? 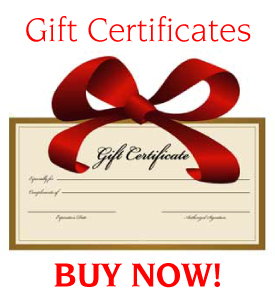 We sell Gift Certificates for all special occasions. Order online, over the phone or drop into the Parachute Shop located 1792 Alberni & Denman St Downtown Vancouver.